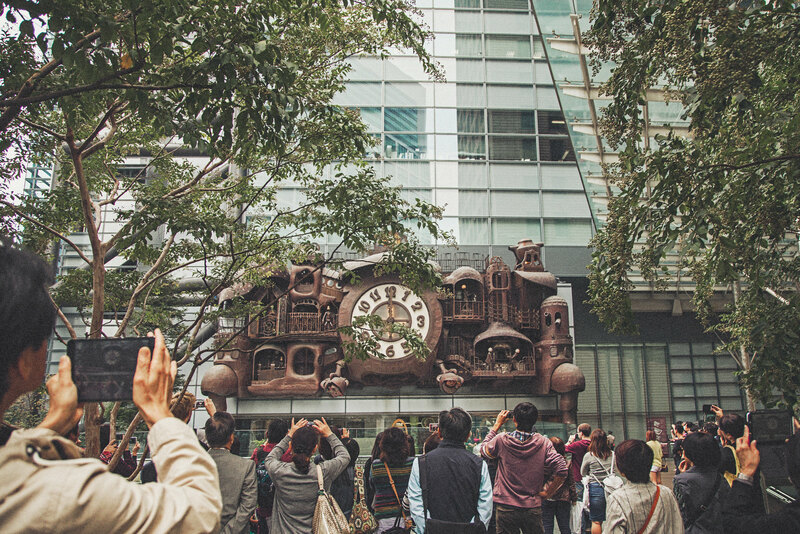 We stumbled upon the “NI-Tele Really BIG Clock” (aka Giant Ghibli Clock) one day and saw a large crowd of people milling about. It happened to be right before one of the 4 daily “performances” of the clock. 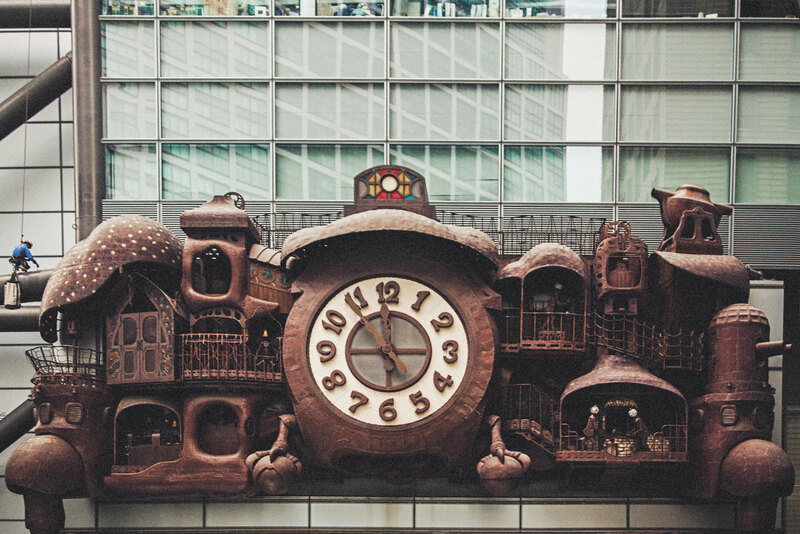 It’s apparently based on the aesthetic of Miyazaki’s 2004 film Howl’s Moving Castle and takes up more than 3 stories of the side of the Nippon Television headquarters building. What a fun thing to randomly find. 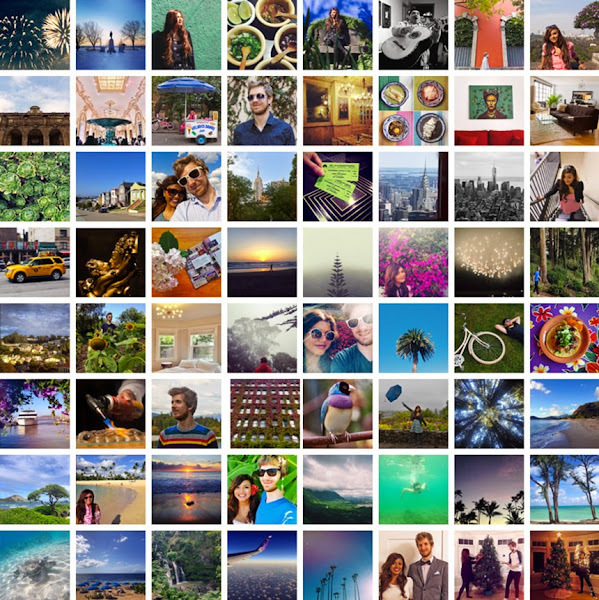 That's the best part about travelling. Great pix!